Are you bored at the office? I’m sure we’ve seen plenty of remote controlled toys in the past, but that won’t stop me from adding the R/C Mini Tank to our annals. R/C Mini Tank is the coolest racing car you have ever seen. It is designed in the military tank shape. It can be charged on the remote control which is powered by 3pcs AA batteries only. Just install the batteries and enjoy playing it with your friends. Here comes with Green Tank and Camouflage Tank. It certainly doesn’t look too professional, and too bad there are no laser fights you can hold with this, otherwise you and your mate could build an elaborate obstacle course, waiting for someone to make that fatal move first. 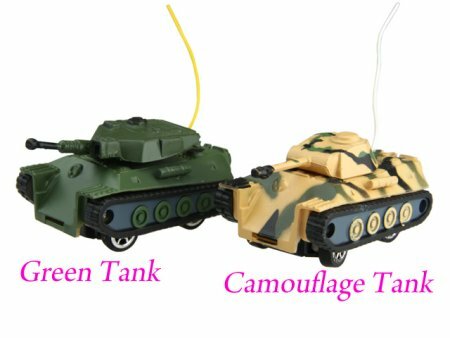 The R/C Mini Tank will retail for $14.50 a pop.